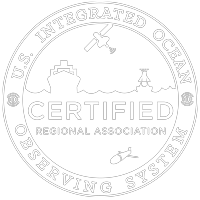 IOOS Regional Associations are working together to close nationwide ocean observing gaps. The campaign, Closing the Gaps, advocates for more funding to expand high frequency (HF) radar coverage and increase glider missions. HF radar and gliders collect data critical to safeguarding productive ecosystems, assisting with safe and efficient maritime transportation, and saving lives on the US oceans and coasts. Closing the Gaps campaign has been a huge success – growing the IOOS Regional Association budget since 2016. See how the SECOORA region benefitted below. Recently, funding was distributed to SECOORA to purchase two new HF radars for the east coast of Florida – filling a major gap. SECOORA also received funding to purchase four used HF radars for the Southeast U.S. See picture for proposed locations. Thank you to everyone for advocating to close this HF radar gap. Data collected by HF radar provide the Coast Guard real-time information on surface currents, critical information for search and rescue efforts. With Closing the Gaps funding, SECOORA purchased a G3 Slocum profiling glider. The new glider will increase our number of glider days at sea and provide valuable data for hurricane intensity forecasting and ecosystem monitoring. Help us pick a name for the glider (voting closes April 15). Thank your Senators and Congressional members for supporting IOOS appropriations! Their support has resulted in positive benefits to our region. Outreaching to legislators ensures you get uninterrupted access to coastal data provided and collected by us. Contact abbey@secoora.org today.